I took the liberty today since we had a slight cool front come through Texas to decorate my front porch for Halloween. Just a little hint or secret....I spray painted Christmas garland ($4.00 a piece) black to be my base to attach everything too...hope you enjoy! 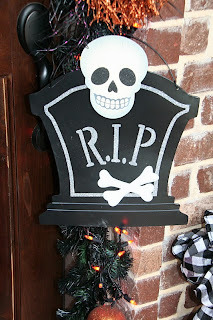 The wreath on my front door was originally green and it began fading because of the sun so I spray painted it as well. 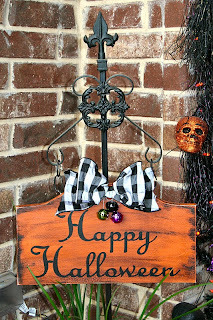 You can see the original wreath here before I painted it for the upcoming Halloween season here! 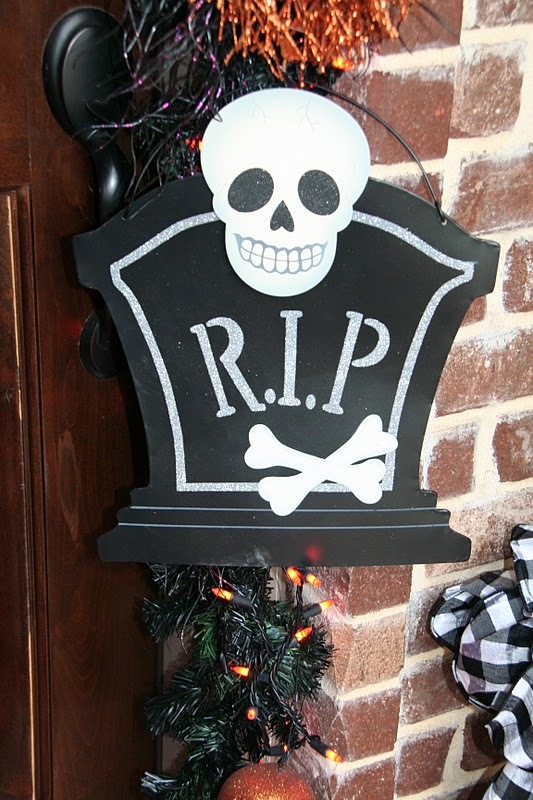 Hope you enjoyed seeing my front porch...thank you for stopping by! Now I have to get inside and clean up the mess I've made! 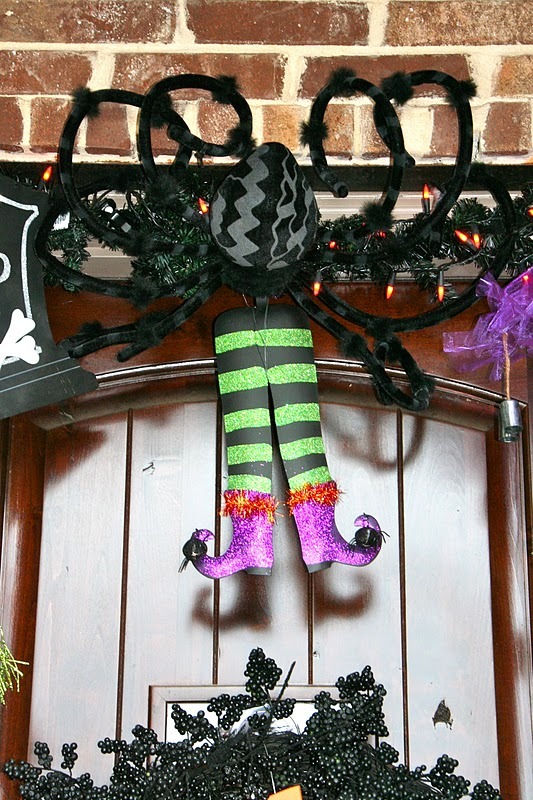 What a fun-looking porch! Great tip about painting the garland. So many fun things to look at! Hey, I spray painted Christmas garland, too. I couldn't see spending way too much dough for something I could make for cheap...pretty much my creative philosophy, lol! Very clever and well done! 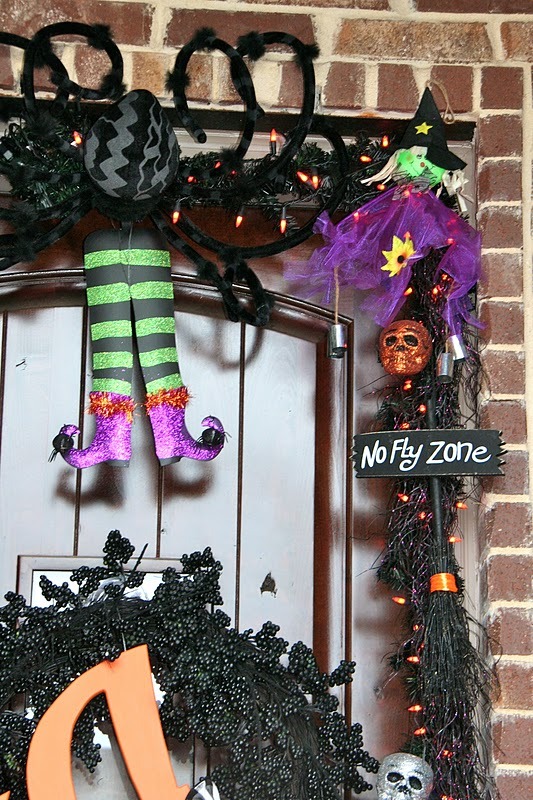 What a great Halloween door. 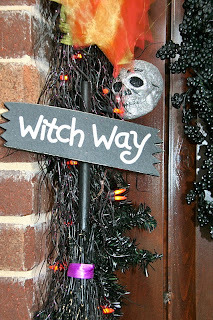 I'd love if you would share this at my weekend Wonders bloghop. I think my UK readers really enjoy seeing the fantastic craft ideas from the USA! This looks great! Thank you for leaving the link on my blog. I love seeing how others decorate. A. Maze. Ing!!! Love it! You have so much fun stuff! Just pinned this! Wow, it really looks great!!! I found you through TT&J Weekend Wrap Up! Coming over from Tatertots and Jello. What a cute porch! Love it! that is so darn cute! 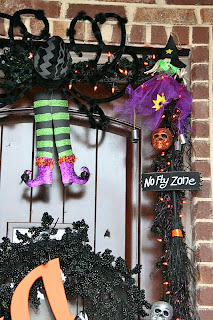 love all the stuff...makesme want to fancy up my door! 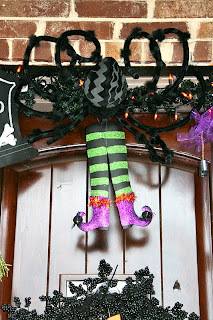 As you know I love what you've done here so I'd love for you to link up to my Wickedly Creative Halloween Ideas Link Party! This is adorable! And GENIOUS for spray painting the christams garland! Sooo cute. Very inspirational. I am starting mine soon. 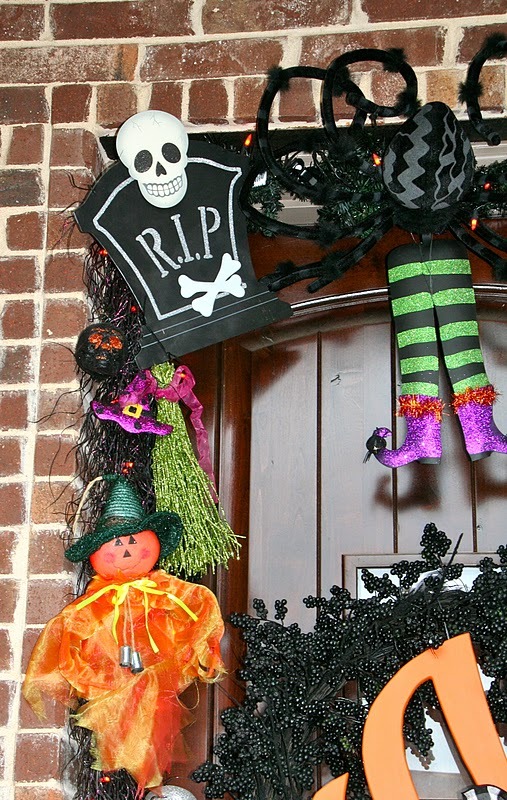 What a spooky and fun entrance. I love how it all looks. So much fun. 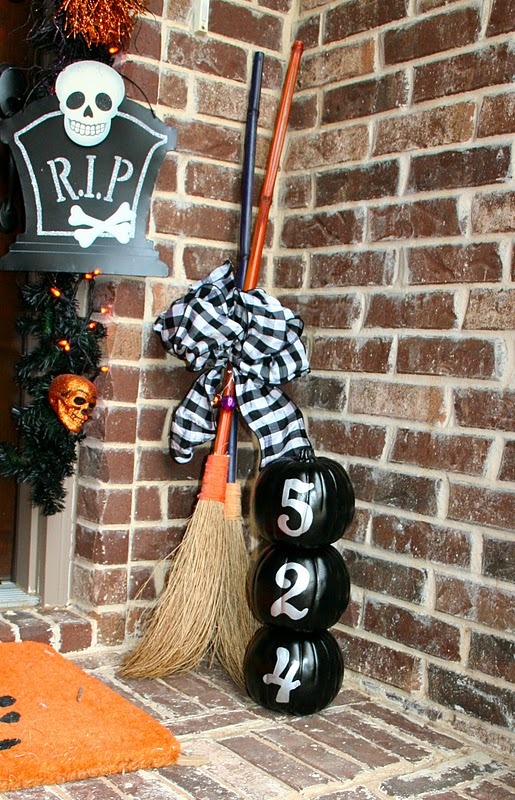 Love the black pumpkins. 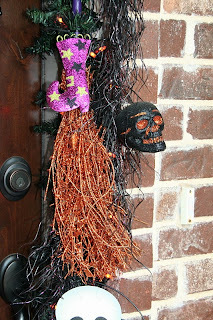 Your front entry way is decorated so fun and festively! 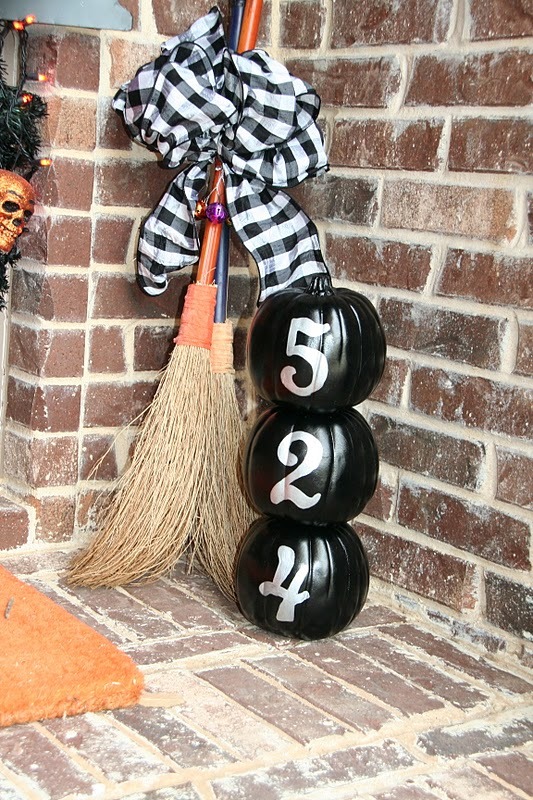 I love the pumpkin address numbers, very cute idea. i love the brooms and the stacked pumpkins! Hands down you have the best porch too! Very nice.....I used to live in Houston, before moving out here. 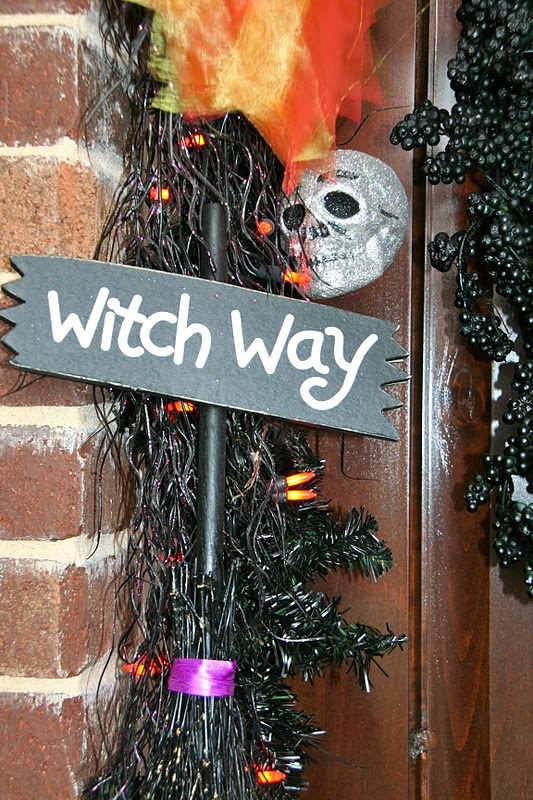 Love all the witchy things!!! I'm not sure if I did it correctly but I just wrote an entry and am linking my blog to this blog entry. If I did something wrong or didn't do it right, please let me know. I don't know the courtesy requirements on blogging. Sorry!! Awesome job! Looks like you love Halloween as much as I do. Just found your blog and it looks like we have some things in common. Adorable results, and clever idea to spray paint the Christmas garland. :) Very nice! Oh my gosh! Your porch is adorable!!! I love love love the pumpkins with the house numbers on them...that is so cool...thank you so much for linking up to my Everything Halloween party!!! Love your porch. So much fun. It would be great to have you link this post to my weekly meme Seasonal Sundays. love it! i am featuring it tomorrow on craftaholics anonymous! Oh my - love it so much! Did you hot glue everything or attach with ties? just so you know, some thief on etsy is using this exact photo and selling YOUR wreath. I reported it....and so far all of her wreaths that I've checked have been stolen. Geesh. 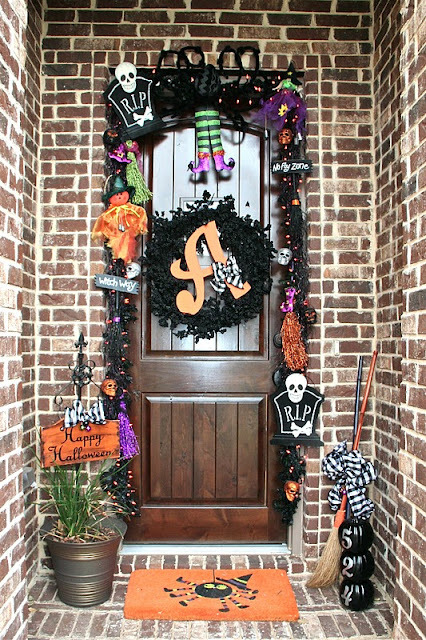 Super cute front door and I want YOU to get the credit for it! I love this!!! Thank you for the inspiration!!! 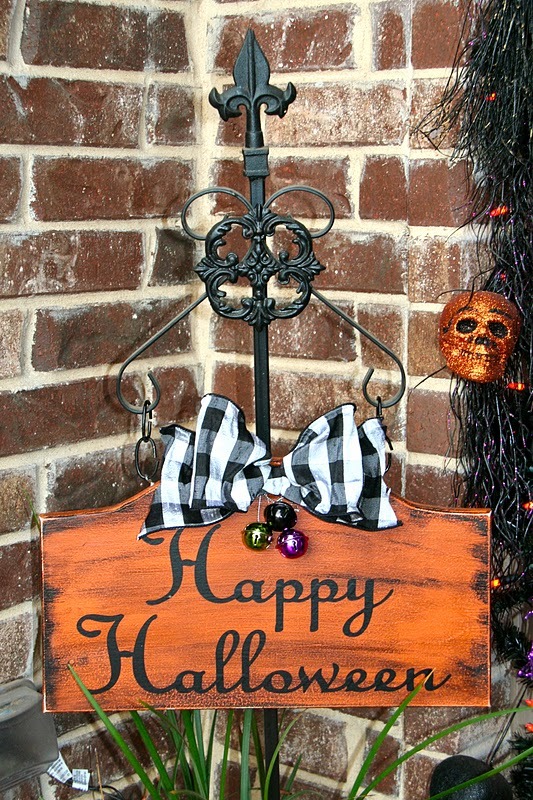 I sprayed an UGLY fall wreath pumpkin orange and am painting black polka dots on my white initial!!! Thanks to you...my porch is getting an update!!! Where did you get the large A? Hi there! I featured you today on Blissful & Domestic! Stop by and check it out!